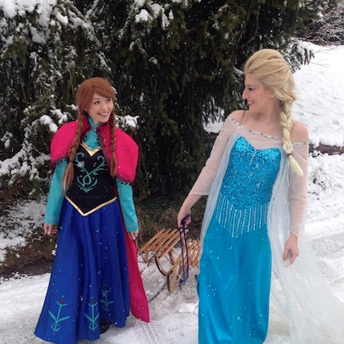 Meet the real life Snow Queen or Snow Princess! 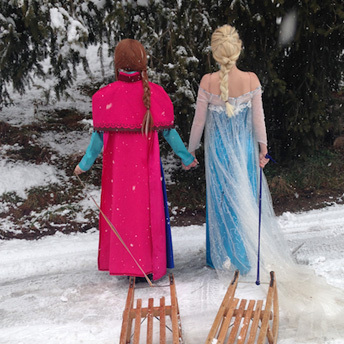 Everyone dreams of meeting the real life Snow Queen or Snow Princess! With a sweep of glamour and a warm heart, our professional party entertainers will turn your child’s birthday party into the event of the year. Your own personal princess will be ready to greet all your party guests and will bring everything she needs to host a truly cool party – including music, games, prizes and props! All our entertainers come from a professionally trained performance, dance or singing background. Fabulous tiara gift and prizes! What takes place at your party? Your party will be jam packed with cool games such as ‘Snowman’ building, Frozen Statues, role playing, pass the parcel and fun with the 3m parachute! Our games are tailored to your child’s age and are highly interactive, with the birthday girl being the centre of attention. There will be plenty of singing performances to your favourite songs, as well as lots of dancing and interactive games, such as Limbo and Frozen statues. Whilst the children eat, your entertainer will apply glitter tattoos or mini face paints and continue to interact with all the children. There may also be time for some fun balloon modelling. The party finishes with a magical crowning ceremony and that all important birthday wish. Don’t forget your FREE certificate to prove you’re a real life Snow Queen Princess. Your entertainer will arrive approximately 30 minutes before your party to set up and greet everyone. They’ll also bring everything necessary for the entertainment, including music, games, prizes and props to ensure a magical birthday party. What locations do you cover? We provide princesses parties throughout London, Surrey, Sussex, Kent, Essex, Hampshire, Buckinghamshire, Berkshire, Birmingham, Coventry, Nottingham, Cardiff, South Wales & Bristol, Manchester, Leeds and Edinburgh. Visit our location page to find your nearest local entertainer. Is there a limit on the number of children? We allow up to 30 children per an entertainer. We’ll never charge extra for additional children, but you may need a 2nd entertainer if you think over 30 maybe present. Do you cater for boys? Yes, your entertainer will play a number of pirate or superhero games so everyone’s included. What are your prices? You can view our prices here. Our prices are clearly laid out and you’ll never receive hidden or extra charges. Locations: We provide Parties all across the UK. Our party locations include: London, Kent, Surrey, Essex, Berkshire, Buckinghamshire, Bristol, Hampshire, Manchester, Liverpool, Leeds, Birmingham, Nottingham, Coventry, Southampton, Bournemouth, Leicestershire, South Wales, Cardiff, Scotland, Glasgow and Edinburgh. Visit our location page to find out more.